For the Danish actor, see Arthur Jensen (actor). For the New Zealand musician and composer, see Arthur Owen Jensen. Arthur Robert Jensen (August 24, 1923 – October 22, 2012) was a professor of educational psychology at the University of California, Berkeley. 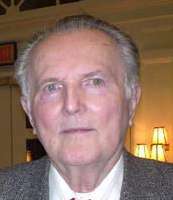 Jensen was known for his work in psychometrics and differential psychology, which is concerned with how and why individuals differ behaviorally from one another. He was a major proponent of the hereditarian position in the nature and nurture debate, the position that genetics play a significant role in behavioral traits, such as intelligence and personality. He was the author of over 400 scientific papers published in refereed journals and sat on the editorial boards of the scientific journals Intelligence and Personality and Individual Differences. Jensen was born August 24, 1923, in San Diego, California, the son of Linda Mary (née Schachtmayer) and Arthur Alfred Jensen, who operated and owned a lumber and building materials company. His paternal grandparents were Danish immigrants and his mother was of half Polish Jewish and half German descent. He studied at University of California, Berkeley (B.A. 1945), San Diego State College (M.A., 1952) and Columbia University (Ph.D., 1956), and did his doctoral thesis with Percival Symonds on the Thematic Apperception Test: He published this work. From 1956 through 1958, he did postdoctoral research at the University of London, Institute of Psychiatry with Hans Eysenck. Upon returning to the United States, he became a researcher and professor at the University of California, Berkeley, where he focused on individual differences in learning, especially the influences of culture, development, and genetics on intelligence and learning. He received tenure at Berkeley in 1962 and was given his first sabbatical in 1964. He concentrated much of his work on the learning difficulties of culturally disadvantaged students. In 2003, he was awarded the Kistler Prize for original contributions to the understanding of the connection between the human genome and human society. In 2006, the International Society for Intelligence Research awarded Jensen its Lifetime Achievement Award. Jensen has had a lifelong interest in classical music and was, early in his life, attracted by the idea of becoming a conductor himself. At 14, he conducted a band that won a nationwide contest held in San Francisco. Later, he conducted orchestras and attended a seminar given by Nikolai Sokoloff. Soon after graduating from Berkeley, he moved to New York, mainly to be near the conductor Arturo Toscanini. He was also deeply interested in the life and example of Gandhi, producing an unpublished book-length manuscript on his life. During Jensen's period in San Diego he spent time working as a social worker with the San Diego Department of Public Welfare. Jensen's interest in learning differences directed him to the extensive testing of school children. The results led him to distinguish between two separate types of learning ability. Level I, or associative learning, may be defined as retention of input and rote memorization of simple facts and skills. Level II, or conceptual learning, is roughly equivalent to the ability to manipulate and transform inputs, that is, the ability to solve problems. Later, Jensen was an important advocate in the mainstream acceptance of the general factor of intelligence, a concept which was essentially synonymous with his Level II conceptual learning. The general factor, or g, is an abstraction that stems from the observation that scores on all forms of cognitive tests correlate positively with one another. Jensen claimed, on the basis of his research, that general cognitive ability is essentially an inherited trait, determined predominantly by genetic factors rather than by environmental conditions. He also contended that while associative learning, or memorizing ability, is equally distributed among the races, conceptual learning, or synthesizing ability, occurs with significantly greater frequency in whites than in non-whites. Jensen's most controversial work, published in February 1969 in the Harvard Educational Review, was titled "How Much Can We Boost IQ and Scholastic Achievement?" It concluded, among other things, that Head Start programs designed to boost African-American IQ scores had failed, and that this was likely never to be remedied, largely because, in Jensen's estimation, 80% of the variance in IQ in the population studied was the result of genetic factors and the remainder was due to environmental influences. The work became one of—if not the most—cited papers in the history of psychological testing and intelligence research. After the paper was released, students and faculty staged large protests outside Jensen's U.C. Berkeley office. Jensen was denied reprints of his work by his publisher and was not permitted to reply in response to letters of criticism—both extremely unusual policies for their day. The relationship of the g factor to a number of biological variables and its relationship to the size of the white-black differences on various cognitive tests (i.e., Spearman's hypothesis) suggests that the average white-black difference in g has a biological component. Human races are viewed not as discrete, or Platonic, categories, but rather as breeding populations that, as a result of natural selection, have come to differ statistically in the relative frequencies of many polymorphic genes. The genetic distances between various populations form a continuous variable that can be measured in terms of differences in gene frequencies. Racial populations differ in many genetic characteristics, some of which, such as brain size, have behavioral and psychometric correlates, particularly g.
In 1994 he was one of 52 signatories on "Mainstream Science on Intelligence, " an editorial written by Linda Gottfredson and published in the Wall Street Journal, which declared the consensus of the signing scholars on the meaning and significance of IQ following the publication of the book The Bell Curve. In 2005, Jensen's article, co-written with J. Philippe Rushton, named "Thirty Years of Research on Race Differences in Cognitive Ability", was published in the APA journal Psychology, Public Policy and Law. Jensen and Rushton present ten categories of evidence in support of the notion that IQ differences between whites and blacks are partly genetic in origin. He died on October 22, 2012 at his home in Kelseyville, California at age 89. Statements made by Arthur Jensen, William Shockley, and other investigators in the late 1960s and early 1970s about race and IQ or social class and IQ rapidly passed into currency in policy discussions. Many of these statements were proved wrong, but they had already influenced some policymakers, and that influence is very difficult to recant. What of the latest currents of thought? Are they likely to lead to, or at least encourage, further distortions of social policy? The indications are not all encouraging. Richard Herrnstein and Charles Murray published a book in 1994 clearly directed at policy, just as Jensen and others had in the 1960s and 1970s. The Bell Curve: Intelligence and Class Structure in American Life (New York: Free Press 1994) teamed a psychologist with a conservative policy advocate to try to prove that both the class structure and the racial divide in the United States result from genetically determined differences in intelligence and ability. Their general assertions about genes and IQ were not very controversial, but their speculations on race were something else again. By 1994, the time of The Bell Curve's publishing, Jensen had received $1.1 million from the Pioneer Fund, an organization frequently described as racist and "white supremacist" in nature. The fund contributed a total of $3.5 million to researchers cited in The Bell Curve's most controversial chapter "that suggests some races are naturally smarter than others" with Jensen's works being cited twenty-three times in the book's bibliography. Lisa Suzuki and Joshua Aronson of New York University claimed in 2005 that Jensen has largely ignored evidence that fails to support his position that IQ test score gaps represent a genetic racial hierarchy unwaveringly for over 30 years. Paleontologist and evolutionary biologist Stephen Jay Gould attacked Jensen's work in his 1981 book The Mismeasure of Man. Gould writes that Jensen misapplies the concept of "heritability", which is defined as a measure of the variation of a trait due to inheritance within a population (Gould 1981: 127; 156-157). According to Gould, Jensen uses heritability to measure differences between populations. Gould also disagrees with Jensen's belief that IQ tests measure a real variable, g, or "the general factor common to a large number of cognitive abilities" which can be measured along a unilinear scale. This is a claim most closely identified with Charles Spearman. According to Gould, Jensen misunderstood the research of L. L. Thurstone to ultimately support this claim; Gould, however, argues that Thurstone's factor analysis of intelligence revealed g to be an illusion (1981: 159; 13-314). Gould criticizes Jensen's sources including his use of Catharine Cox's 1926 Genetic Studies of Genius, which examines historiometrically the IQs of historic intellectuals after their deaths (Gould 1981: 153-154). Until we find out what the relevant psychological predictors are for which racial classification per se is merely a 'stand-in' variable, we have no choice but to include race (or other group membership) as a predictive variable along with the test scores or other predictive measures. On the other hand, if the overprediction of the minority group's criterion performance is not too extreme, it may seem reasonable to many to leave it uncorrected, thereby giving the benefit of the slight predictive bias to the presumably disadvantaged group. Pointing out that "many of Jensen's opponents allowed their scientific conclusions to be far more biased by their political views than he did, Kaye quoted 18th-century David Hume: "There is no Method of Reasoning more Common, and yet none more blameable, than in philosophical Debates, to endeavor the Refutation of any Hypothesis, by a Pretext of its dangerous Consequences to Religion and Morality." In a 1982 review of The Mismeasure of Man, Jensen gives point-by-point rebuttals to much of Gould's critique, including Gould's treatment of heritability, the "reification" of g, and the use of Thurstone's analysis. Gould responded to Jensen's rebuttals in a revised edition of the book, published in 1996. This charge of a social, value-laden science undoubtedly contains an element of truth. In recent years, however, we recognize this charge as the keystone of the Marxist interpretation of the history of science. Now and then I am asked by colleagues, students, and journalists: who, in my opinion, are the most respectable critics of my position on the race-IQ issue? The name James R. Flynn is by far the first that comes to mind. His book, Race, IQ and Jensen (1980), is a distinguished contribution to the literature on this topic, and, among the critiques I have seen of my position, is virtually in a class by itself for objectivity, thoroughness, and scholarly integrity. The g Factor: The Science of Mental Ability (1998) is a book on the general intelligence factor (g). The book deals with the intellectual history of g and various models of how to conceptualize intelligence, and with the biological correlates of g, its heritability, and its practical predictive power. Clocking the Mind : Mental Chronometry and Individual Differences (2006) deals with mental chronometry (MC), and covers a variety of techniques for measuring the speed with which the brain processes information. Whereas IQ merely represents an interval (ranking) scale and thus possesses no true ratio scale properties, Jensen argues mental chronometry represents a true natural science of mental ability. ↑ "Arthur Jensen" (PDF). Journal of Educational and Behavioral Statistics. Retrieved 2010-06-05. ↑ "Collected works". Arthurjensen.net. Retrieved August 30, 2015. ↑ Jensen is listed in a study by Haggblom et al. (2002), of the 100 most eminent psychologists of the twentieth century, at number 47. ↑ Panofsky, Aaron (2014). Misbehaving Science. Controversy and the Development of Behavior Genetics. Chicago: University of Chicago Press. ISBN 978-0-226-05831-3. ↑ Current biography yearbook – H.W. Wilson Company – Google Books. Books.google.ca. Retrieved 2012-10-28. ↑ Jensen, Arthur Robert; Miele, Frank (2002). Intelligence, race, and genetics: conversations with Arthur R. Jensen (illustrated ed.). Westview Press. p. 242. ISBN 978-0-8133-4008-1. ↑ "2006 Lifetime Achievement Award". isironline.org. International Society for Intelligence Research. December 25, 2006. Retrieved October 18, 2015. ↑ "High Impact Science and the Case of Arthur Jensen" (PDF). 9 October 1978. Retrieved 27 January 2012. ↑ Johnson, Wendy (2012). "How Much Can We Boost IQ? An Updated Look at Jensen's (1969) Question and Answer". In Slater, Alan M.; Quinn, Paul C. Developmental Psychology: Revisiting the Classic Studies. Psychology: Revisiting the Classic Studies. Thousand Oaks (CA): SAGE. pp. 118–131, 123. ISBN 978-0-85702-757-3. Lay summary (19 May 2013). The article itself became one of the most highly cited in the history of psychology, but many of the citations were rebuttals of Jensen's arguments or used the paper as an example of controversy. ↑ Thomas Sowell (October 1, 2002). "Race and IQ". Retrieved 14 November 2008. ↑ J. Philippe Rushton and Arthur Jensen (2005). "Thirty Years of Research on Race Differences in Cognitive Ability" (PDF). Psychology, Public Policy, and Law. 11 (2): 235–294. doi:10.1037/1076-8971.11.2.235. ↑ Adam, Miller (1994) [Winter, 1994-1995]. "The Pioneer Fund: Bankrolling the Professors of Hate". The Journal of Blacks in Higher Education. The JBHE Foundation (6): 58–61. JSTOR 2962466. A 1969 article by University of California at Berkeley educational psychology professor Arthur Jensen, who has received more than $1 million in Pioneer funds, argued that black students' poor academic performance was due to irreversible genetic deficiencies, so programs like Head Start were useless and should be replaced by vocational education. ↑ Falk, Avner (2008). Anti-semitism : a history and psychoanalysis of contemporary hatred. Westport, Conn: Praeger. pp. 18–19. ISBN 9780313353840. Since his death in 1972, Draper and the Pioneer Fund have been criticized for funding "race and intelligence research," which is a euphemism for "scientific" racism (Kenny 2002, Tucker 2002). Draper has become even more controversial since the publication of The Bell Curve (Herrnstein & Murray 1994), which purported to prove that white people's intelligence was superior to black people's intelligence, because the Pioneer Fund supported the controversial research in the book (Fraser 1995; Jacoby & Glauberman 1995; Baum 2004). ↑ Tucker, William (2002). The funding of scientific racism : Wickliffe Draper and the Pioneer Fund. Urbana: University of Illinois Press. pp. 1–3. ISBN 9780252027628. Leon Kamim, professor of psychology at Northeastern University and a well-known critic of hereditarian studies, observed that Herrnstein and Murray, in their discussion of race and IQ, had turned for assistance to Richard Lynn, whom they described as "a leading scholar of racial and ethnic differences," "I will not mince words," wrote Kamin, calling it a "shame and disgrace that two eminent social scientists ... take as their scientific tutor Richard Lynn ... an associate editor of the vulgarly racist journal Mankind Quarterly ... [and] a major recipient of support from the nativist and eugenically oriented Pioneer Fund. ↑ Wroe, Andrew (2008). The Republican party and immigration politics : from Proposition 187 to George W. Bush. New York: Palgrave Macmillan. pp. 80–81. ISBN 9780230600539. According to Taxpayers the Pioneer Fund in its first charter had called for the encouragement of the "reproduction of individuals descended predominantly from white persons who settled in the original 13 states or from related stock." Taxpayers also claimed that the fund supported racist research, including that of notorious scientist William B. Shockley. In a press release, "taxpayers described the Pioneer Fund as a "white supremacist" organization. What was the racist link between Prop. 187 and the Pioneer Fund? Taxpayers claimed that the Federation for American Immigration Reform (FAIR) had received S600,000 in grants since 1988 from the Pioneer Fund, and that Alan Nelson was FAIR's lobbyist in Sacramento when he coauthored Prop. 187. ↑ "Pioneer Fund". Intelligence Files : Groups. Southern Poverty Law Center. Retrieved June 6, 2012. Ideology: White Nationalist. Started in 1937 by textile magnate Wickliffe Draper, the Pioneer Fund's original mandate was to pursue "race betterment" by promoting the genetic stock of those "deemed to be descended predominantly from white persons who settled in the original thirteen states prior to the adoption of the Constitution." Today, it still funds studies of race and intelligence, as well as eugenics, the "science" of breeding superior human beings that was discredited by various Nazi atrocities. The Pioneer Fund has supported many of the leading Anglo-American race scientists of the last several decades as well as anti-immigration groups such as the Federation for American Immigration Reform (FAIR). ↑ Montagu, Ashley (2002). Race and IQ (2 ed.). New York: Oxford University Press. ISBN 9780195102215. And many of The Bell Curve's most important assertions which establish causal links between IQ and social behavior, and IQ and race, are derived partially or totally from the Mankind Quarterly Pioneer Fund scholarly circle. The University of California's Arthur Jensen, cited twenty-three times in The Bell Curve's bibliography, is the book's principal authority on the intellectual inferiority of blacks. He has received $1.1 million from the Pioneer Fund. ↑ K. Kaye, The Sciences, January 1981, pp. 26-28. ↑ Jensen, Arthur (1982). "The Debunking of Scientific Fossils and Straw Persons" Contemporary Education Review 1 (2): 121- 135. ↑ Archived March 27, 2006, at the Wayback Machine. ↑ Jensen, Arthur (1987). "Chapter 21: Differential Psychology: Towards Consensus". In Modgil, Sohan; Modgil, Celia. Arthur Jensen: Consensus and Controversy. Falmer international master-minds challenged; 4. London: Falmer Press. p. 379. ISBN 1-85000-093-X. Jensen, A. R. (1993). Spearman's g: Links between psychometrics and biology. In F. M. Crinella, & J. Yu (Eds. ), Brain mechanisms: Papers in memory of Robert Thompson (pp. 103–129). New York: Annals of the New York Academy of Sciences. Jensen, A. R. (1996). Giftedness and genius: Crucial differences. In C. P. Benbow, & D. J. Lubinski (Eds), Intellectual talent: Psychometric and social issues (pp. 393–411). Baltimore: Johns Hopkins University. Jensen, A. R. (1998) The g factor and the design of education. In R. J. Sternberg & W. M. Williams (Eds. ), Intelligence, instruction, and assessment: Theory into practice. (pp. 111–131). Mahwah, NJ: Lawrence Erlbaum. Jensen, A. R. (2002). Psychometric g: Definition and substantiation. In R. J. Sternberg, & E. L. Grigorenko (Eds.). The general factor of intelligence: How general is it? (pp. 39–53). Mahwah, NJ, US: Lawrence Erlbaum.